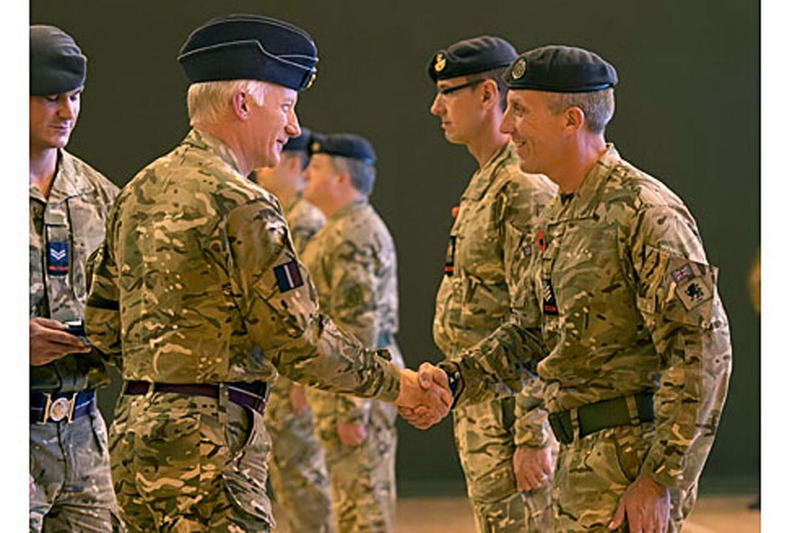 The Chief of the Air Staff, Air Chief Marshal Sir Stephen Dalton, has presented Operational Service Medals to RAF police personnel on their return from Afghanistan at RAF Henlow. The personnel were from No 2 (Tactical) Police Squadron and the three operational Police Wings. I am delighted to be at Royal Air Force Henlow today to award Operational Service Medals as we welcome home, from Afghanistan, the brave men and women from our Royal Air Force Police Wings. The Royal Air Force Police, alongside the Royal Air Force Regiment, play a crucial part in the protection of our people and aircraft as well as those of our coalition allies. Their highly effective conduct in this vital role has helped enable continuous air operations from our deployed bases around the world. 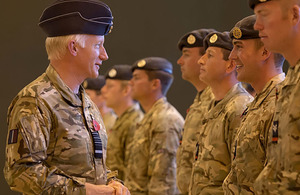 In Afghanistan, beyond their force protection role, the Royal Air Force Police are also working as mentors to train and assist the Afghan National Police in developing a wide range of essential police skills and capabilities,” said Sir Stephen. Through their professionalism and commitment, the Royal Air Force Police are making a really positive contribution to the transition of security to Afghan control. No 2 (Tactical) Police Squadron (2 TPS) provided a life-saving capability as part of the Camp Bastion Force Protection Wing. Their roles ranged from carrying out foot patrols and counter-terrorist searches to maintenance of flight line security and control of entry. Camp Bastion is a huge base, similar in size to the town of Reading, and host to tens of thousands of personnel and hundreds of aircraft. As the strategic focal point for all troops and supplies arriving in Afghanistan it is critical that the base is well-defended, and I am proud of the diligence and skill shown by the men and women of this squadron as we carried out our tasks.